Poreuze materialen en gaten tot 1 cm breed kunnen gemakkelijk overbrugd of hersteld worden met de presto extra glasvezel filler. 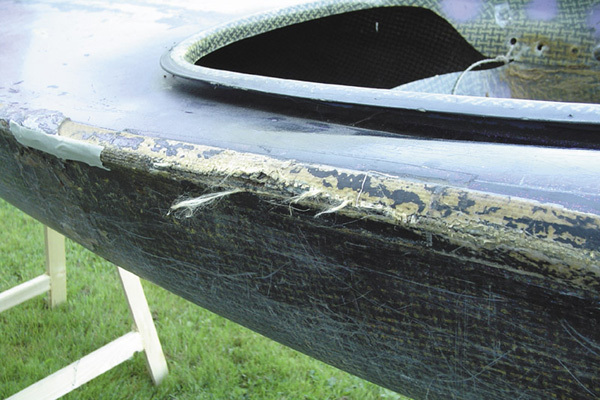 Frayed and broken edges as well as small holes in kayaks can easily be repaired and bridged with prestolith extra fibreglass filler. 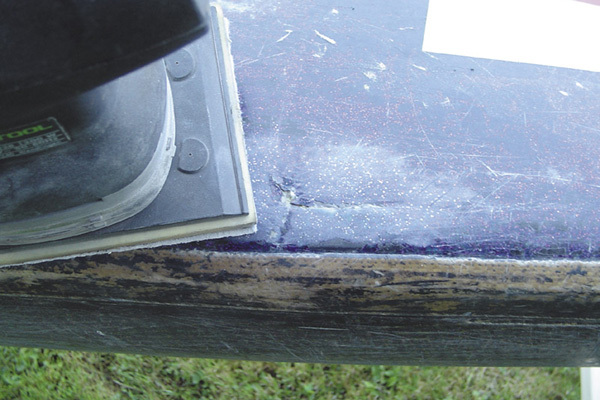 Sand down the damaged area with 80-grit sandpaper. Then clean the area with a universal thinner. Fill and even the holes and uneven areas with fibreglass filler. Processing time 4-5 minutes. 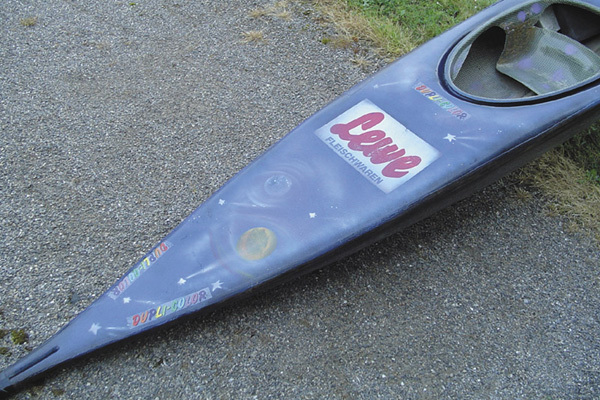 After 20 minutes, sand down excess filler with 80-grit sandpaper. 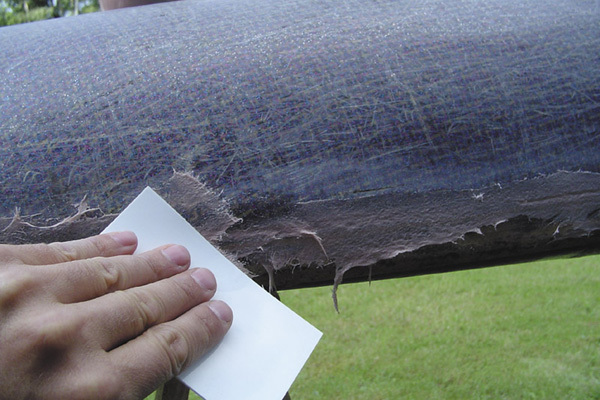 Continue sanding with fine wet sandpaper (400 - 600 grit) for painting the surface. 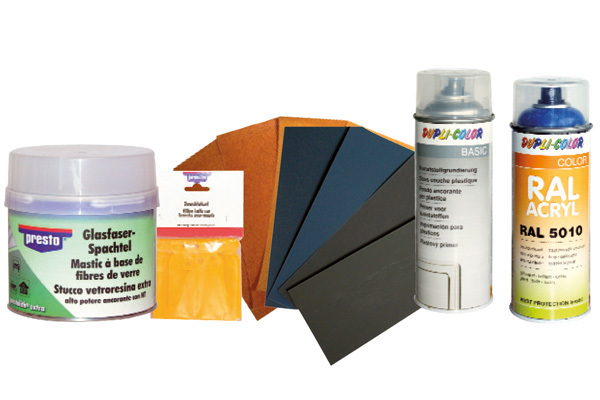 Then spray with DUPLI-COLOR Plastic Primer and paint with your chosen colour from the DUPLI-COLOR RAL Acrylic range.